Many people consider age the only factor in their retirement planning. It’s like they think that once they turn 65, all of their money troubles miraculously drift away and they will live a life of leisure, sunning themselves on a beach somewhere. Unfortunately, without careful consideration, they will more than likely find themselves looking for a part-time job to make ends meet. How depressing is that? The average monthly retirement benefit was recently $1,371, amounting to $16,452 per year. I have seen it all too often. Especially at my husband’s workplace. Employees retire. Have a party. Get a retirement gift. Then 6 months later, they are back with their tails between their legs, working part-time because they didn’t do any retirement or financial planning. My husband is 3 years shy of his retirement date and there is no way he wants to be one of those people. You should never see retirement as a passive action, something that just happens to you. The closer you are to retirement, the more aggressive you should be with your planning. Especially if you have never considered the consequences of retiring before. Most people assume that their expenses will go down when they retire but that is not necessarily so. If you wish to maintain the same lifestyle you have right now, you won’t be able to unless you cut your expenses. Things like lunches out, proper work attire and car expenses (gas, maintenance, repairs, second car) being eliminated from your budget may help somewhat. Knowing exactly what income you will need to sustain a good standard of living is key to your planning. Do your research. Know your numbers. Be realistic and honest with yourself. Will your kids/grandkids be living with you? Can they contribute to the household expenses? That will help decrease your income need. Or will they move out by your retirement date? Then you will see a drop in income need once your kids/grandkids are out on their own. If you have a mortgage, look at when it will be paid off. Your need for income decreases once you no longer have to feed the mortgage beast! Is your home old or high maintenance? If so, then take potential repairs into account. Don’t forget expenses like property taxes, heat and hydro which are constantly going up. 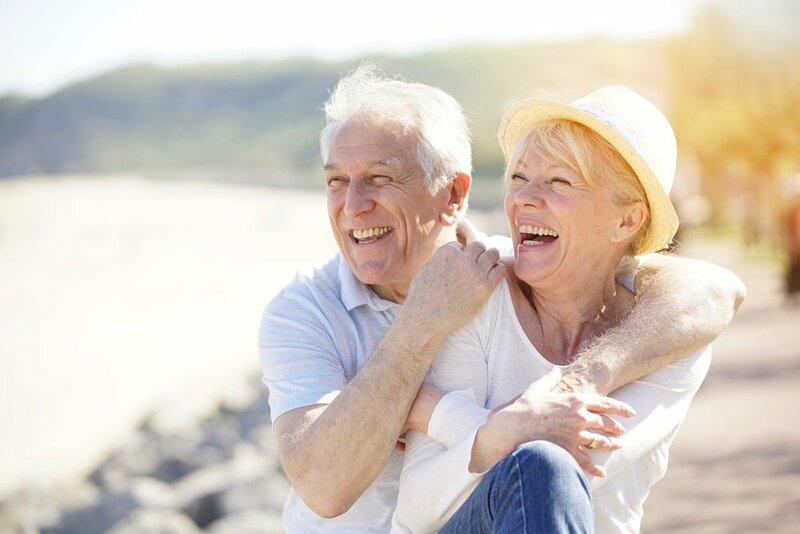 If you plan to downsize, what will your new living expenses be? If you have been putting money away towards retirement savings, you can count on having that money freed up. If healthcare was covered by your job, what will your costs be in retirement. Don’t forget things like prescriptions, eyeglasses and dental. If you have debt or any type of loans, will they be paid off when you retire? It’s vital to determine this as part of any basic retirement plan. You’ll find that retirement income generally comes from government sources, employer-backed plans, and personal savings. Social Security is the most common form of government-funded retirement funding. Find out how much you will be paid in Social Security, check with your employer’s plan if you have one, and assess your personal savings carefully. It doesn’t hurt to check with a professional. If your workplace has seminars about retirement planning, GO! Once you have determined what your ‘expected income’ will be from your plans, you need to also calculate if it will be enough to just cover your living expenses or will there be slightly more. The bigger question, however, is do you want or need more? Check out this post detailing some side hustles that you might be interested in to supplement your income. Related Post: 20 Side Hustles That Can Net You At Least $500 a Month! This is something to consider pretty carefully, and it’s an area where plenty of people fail to plan. Some retirees even experience depression or simply feel unhappy if they are not doing some sort of work. Especially if they live alone. So an important part of making retirement a reality is to recognize just how much you want to retire. This may be a time to get into a hobby you’ve been putting off, or you may decide to work freelance or part-time at your current job instead of retiring altogether. If traveling or relocating is part of your dream retirement, be sure to include that in step #1 above, income needs. Many retirees are happy to not have to work again and simply enjoy being free while others need something to do. If your budget is tight, you don’t want to travel (or can’t afford to) and don’t want a part time job, volunteering might be something that will fill in your empty time perfectly, give you a sense of purpose and keep you active and social! The one thing you definitely don’t want to have going into retirement is an outstanding debt that your new monthly income can’t support. Remember when you’re doing your new budget, a $500 a month car payment might leave you without enough money at the end of the month for your normal household bills (electricity, gas, insurance, etc). Look into doubling up your mortgage payments if you can. What do your credit card bills look like? Take into account all your monthly debt and see which ones can be paid down aggressively. Remember interest payments and fees will be better in your pockets than in those of the creditors. If you are planning to retire in the next year or two perhaps it might not be such a wise idea to go out and purchase a brand new sports car or sail boat. Many major stores now make it so easy for us to purchase home furniture as well(full bedroom suites, living room suites, dining room, etc) and it’s hard to say no. The problem with those is that they offer a very enticing ‘don’t pay for the next two years’ but then hit you hard for the following 3 with high payments and interest rates. If you have to make any large purchases make sure you can pay it off before your retirement years. This way, there is no extra financial stress or burdens on you while you are budgeting for your new life. We work hard our whole life and when retirement nears we want to be able to relax and enjoy it. 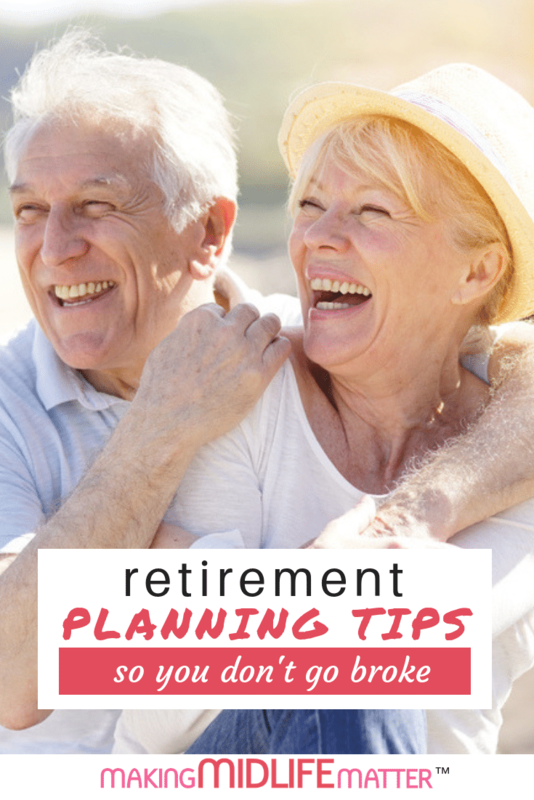 By following some of these retirement tips, you’ll be better prepared and can look forward to your retirement without financial stress, or without the risk of having to place extra burdens on family members. Your final years are the ones to enjoy fully and freely. Make sure you are completely covered before you sign your retirement papers. If you plan wisely, it will be smooth sailing for years to come. 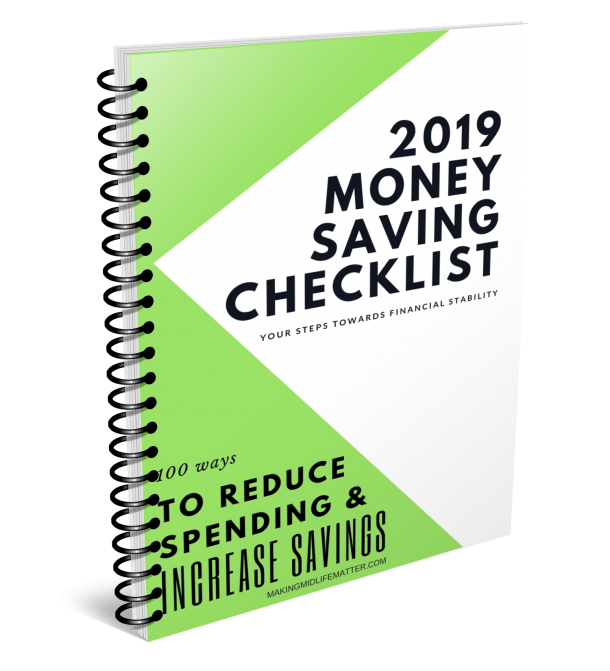 Includes 100 ways to reduce spending plus worksheets. I WANT TO SAVE MONEY! 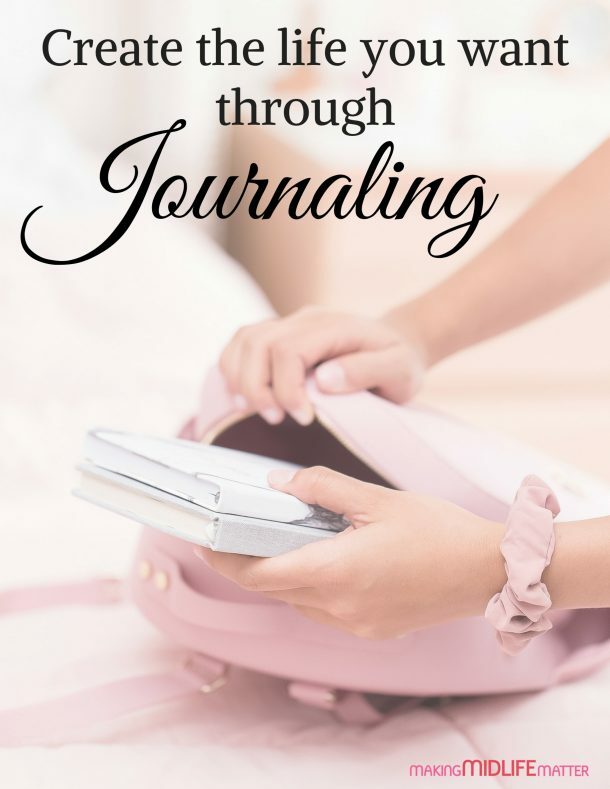 Please check your inbox including spam folders to confirm your subscription and your FREE eBook will be on its way! 2,674,654 total visitors and counting!